Make sure you scroll all the way down for the giveaway! I was recently given the opportunity to review a new book by Dawnita Fogleman entitled Star Chronicles: A Bible Based Study of the Stars. I love astronomy, and have wanted to get started with some family studies, but wasn't quite sure how to go about it. We have a pretty cool iPad app that helps us identify what we're seeing, and I have quite a pile of books about stars and planets and such, but wasn't sure how to approach it all. I was given a PDF copy of the book to use with my family. It includes coloring pages for the youngest astronomers, as well as lapbooking elements and notebooking pages. 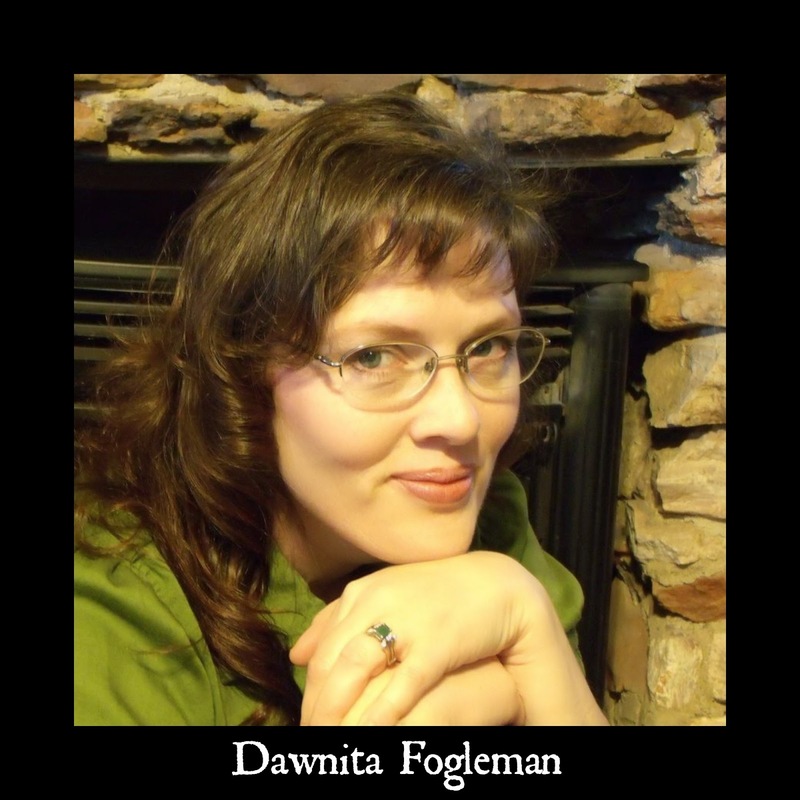 Dawnita is a wife, mother, editor and author of most of her website: Fogleman Forerunner. She is also a 5th generation Oklahoma Panhandle pioneer - how cool is that? She lives in a century-old farmhouse on 50 acres in, as she describes it, "Nowhere, Oklahoma." Sounds like heaven to me! She also loves old books. (That has nothing to do with the review, but it tells me she's a woman after my own heart, so I had to point it out.) You can read an interview with her here. She's nifty. The first thing I did upon receiving Star Chronicles was to pull out all the books I could find relating to astronomy, fiction and non-fiction, and put them on top of the piano, where they would be visible and available to everyone. Then, I put Dawnita's book on our iPads. My girls and I each read through the book, and then the girls started researching constellations. They are 13 and 14, so they're able to do research on their own, and they went to town. Dawnita recommends studying one constellation per week or even per month, giving time for all the information to soak in. She said it's not necessary to work on the constellations that are currently visible, although that would make the most sense to me. This book is a great jumping-off point for a study of constellations. 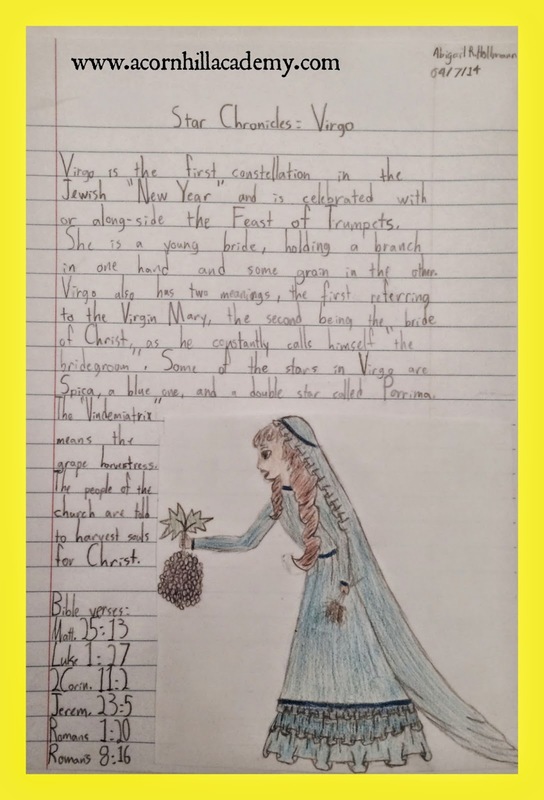 There is just enough information here to satisfy younger children, and plenty to pique the interest of older students to make them to learn more. 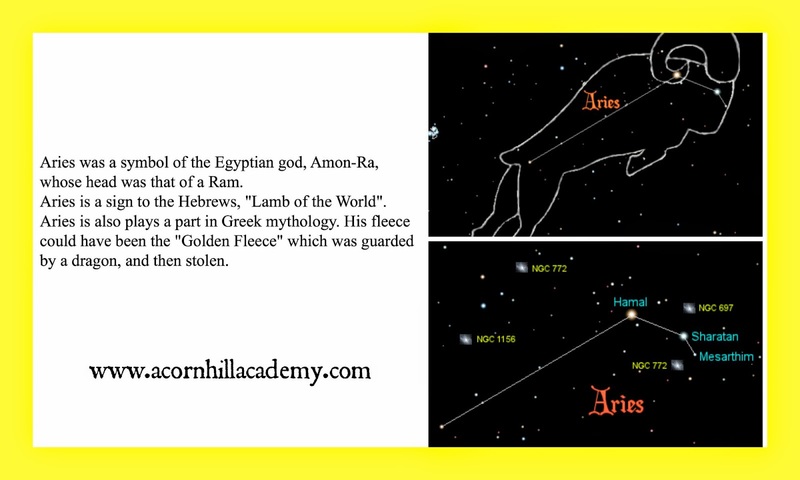 I had only ever heard about the constellations with their Greek names, but there is so much more history there! You can see a sample lesson (Scorpio) here. Dawnita's focus was to share Biblically and historically accurate information, and you will not find anything about horoscopes or astrology. She shares information about the 12 major constellations, along with any associated constellations. I had no idea there were so many! Consistent information regarding when each constellation appears in the sky. Sources to verify information found on Wikipedia. I confess that I found myself a little frustrated after reading the book, and couldn't quite put my finger on why, until I realized that I wanted to know MORE! I'm in the process of reading Adam and His Kin by Ruth Beechik, one of Dawnita's recommended books for older students to read along with this study, and will be seeking more information for myself. I'd say that's a unit study well done, when it inspires a learner to keep learning! 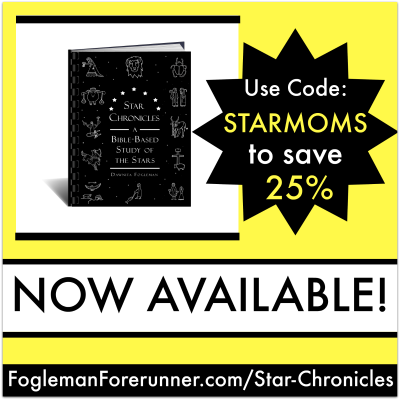 To celebrate the release of her new book, Dawnita is offering a 25% discount on the PDF version, available through her website, using the code STARMOMS. This code expires on April 20, 2014. The PDF version is regularly $12, and is available through Dawnita's shop. A printed version is available through Amazon (affiliate link). One more thing! I'm authorized to give away a PDF copy of the book. Be sure you enter to win! Read what others had to say about Star Chronicles! Connect with Dawnita via Fogleman Foreunner on Facebook, Twitter, and Google+. Don't forget to check out her blog! Thank you so much for your review! I have to admit I really like that this frustrated you. *goofy grin* I just love that it is stimulating further study. I have learned so much through writing it. Blessings!